The funeral director looked at me and smiled. It was an odd juxtaposition, as we were in a black stretch limousine, and it was not the happiest of days to be certain. In the hearse in front of us was a coffin containing my father's body, all that was left of his life other than the memories of those who loved him. And yet the director was smiling at me. "You don't see that often anymore," he said, gesturing to a man on the sidewalk. The man, stooped and elderly, had spotted the hearse and stopped, faced the street, removed his cap, and held it to his chest, his eyes lowered. "That kind of respect," said the director. "You just don't see it anymore. Maybe decades ago, usually in small towns where everyone knows who has passed away. But not in cities like this, not these days and not for strangers. He doesn't know if the person in the hearse was a sinner or a saint, a child or an adult - he just knows that someone has died, and that it is a moment for respect." "I am sorry I am smiling on this sad day," said the director, a man close to retirement and who over his decades-long career had buried babies and seniors and seen more tragedies that I can imagine. "It just makes me smile, to see that some people remember how to show respect." And then we drove on, and laid my father to rest in a snowy, windy cemetery where jackrabbits roam and where my mother and father are now both resting. I thought about this a great deal last night after I saw some deeply troubling signs that our respect has slipped even further in recent years. Perhaps it is the advent of the internet, and our distancing of each other in a way that sees us a faceless and nameless and behind a keyboard and glowing screen. I don't know the reason, or the cause, but I know that it is a sign of trouble in our world. Last night the tragic story of a young woman being killed by a bear hit the social media world. It is a shocking and terrible incident, and in future days I will write about bear safety and the perils of living in the heart of wilderness, as I have had many years of close encounters with bears. What troubled me last night, though, was the reaction displayed by some individuals when they heard the news. One individual took to Twitter to gloat in the "karma" of an oil sands worker being killed by a bear, given the "environmental destruction" wrought by the oil sands. When I read it bile rose in my throat and I responded swiftly and angrily, as while one can think anything they like of the oil sands to attempt to link these things as somehow deserving of this tragedy was the height of disrespect. It was a shameful thing to witness, particularly given the individual's professed love of convertibles and motorcycles that of course rely on oil, but reprehensible in the simple fact that it ignored that someone's life has ended, and many others are now suffering grief and pain and sorrow. I wish could say that is the only comment I saw of that nature, but it wasn't. It seems so many have forgot basic human decency, and the ability to hold their tongue - or their typing fingers - in the wake of a tragic death. It seems we have forgotten the basic tenets of respect. In a world where we connect online in fast and furious ways it has become so easy to depersonalize the pain and suffering of others. We forget that friends and families of the deceased are online too, perhaps reading those comments, and that we are adding to their agony. Perhaps, far worse and far darker, we just don't care. I am heartened that many responded to the tweet I saw with their own angry retorts. 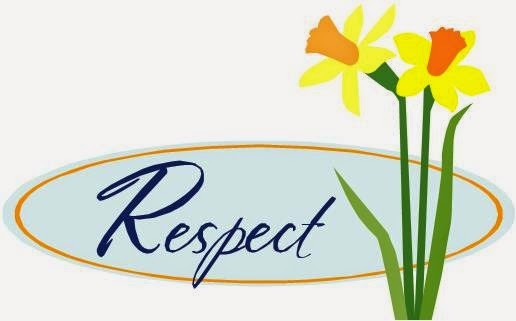 When I replied I spoke of respect, the kind of respect I saw almost a decade ago when my father died and an elderly man took off his hat and offered a moment of silence for him, not knowing if he was sinner or saint. It is the kind of respect we need to find once again in this world, and that we need to expect of ourselves and others, because it is the kind of respect that marks us as sentient, compassionate human beings. To the family, friends and coworkers of the victim yesterday I offer my most sincere condolences and sympathies. I am so very, very sorry for your loss. Too many people making stupid and ill-informed comments when they don't know all the details. While I don't know the victim, I do know someone who did. Covering their butts for sure since in the 4 years I've worked out there, the only thing we are told is not to feed or approach wildlife. As anyone with an once of bush sense would know, this in itself will not stop a determined bear. I would love to know exactly what training this spokesperson refers to.